In August 1994 while conducting a seminar in the captial city Yangon (Rangoon) in Burma, God spoke to Håkan through an open vision about a coming revival and restoration of the Bride of Christ in that country. Subsequently, after additional seminars for christian leaders, a Bible Training Center was started 1996 together with Full Gospel Assembly in the heart of Yangon. 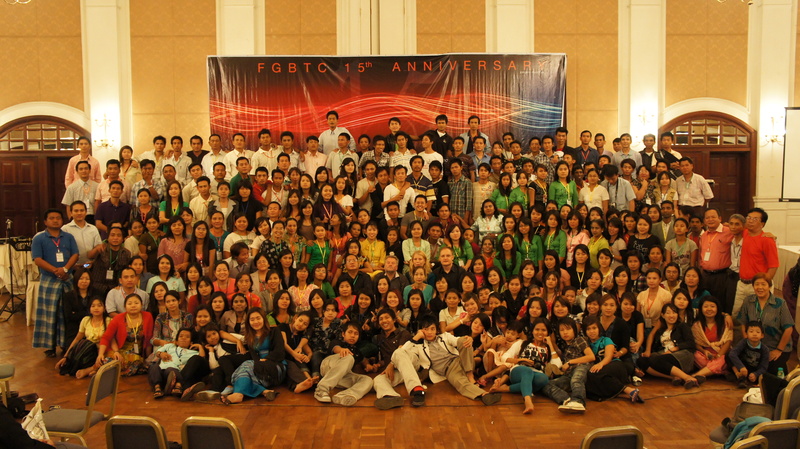 In partnership with Pastor Dam Suan Mung and Full Gospel Assembly (FGA) in Yangon, Full Gospel Bible Training Centre (FGBTC) was inaugurated in September 1996. More than 2000 graduates since the inception has had a compounding effect which is now clearly seen as former bible school students are serving God all over the nation. Many have leadership roles in their respective churches; helping in worship, children ministry, youth ministry and house groups. Some have become pastors, others evangelists, and some have gone out with an apostolic anointing and planted a number of churches and started new bible schools.